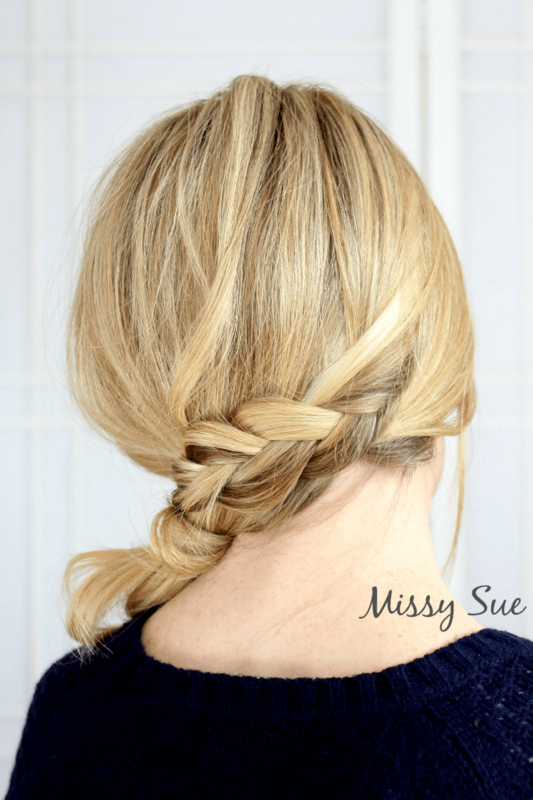 Braid 12-Braid Wrapped Side Ponytail is your new go-to look for bad hair days. 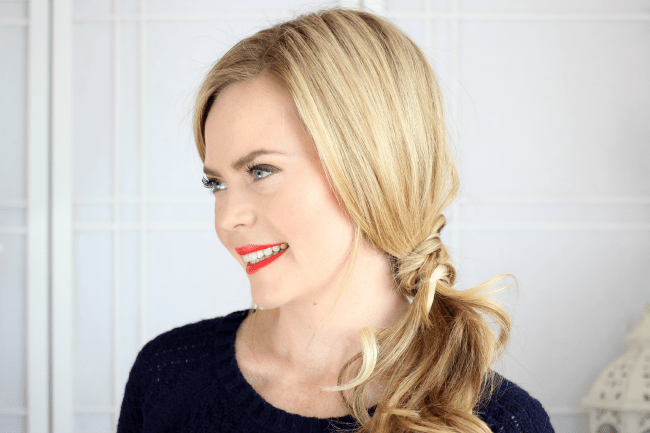 A spin on the Mini Sideswept Dutch Braid and easier too! When you see how quick this style is to throw together you will not believe it. 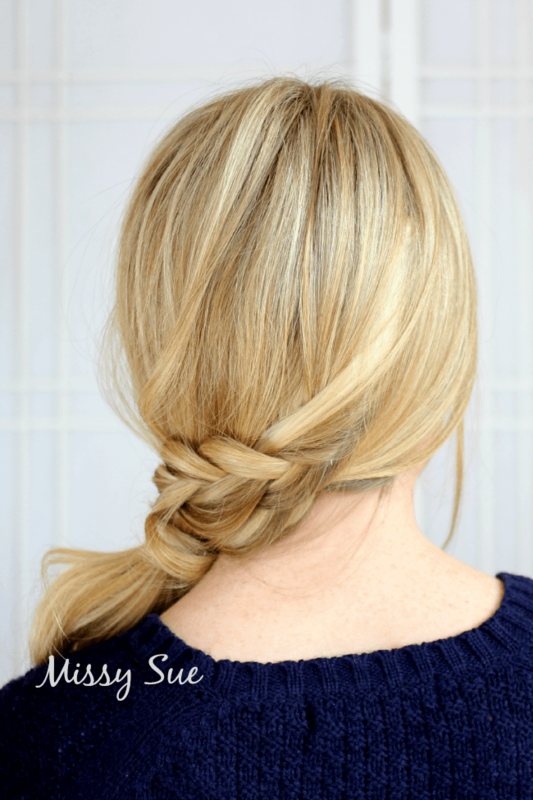 It features one braid that is wrapped around the rest of the hair to create a ponytail. It is seriously so simple; I hope you try it out. Step 1 / Sweep all the hair over the left shoulder and separate out a section of hair right behind the right ear. Step 2 / Braid this section into a regular ole braid; no elastic yet. Step 3 / Grab the rest of the hair and wrap the braid over the top. 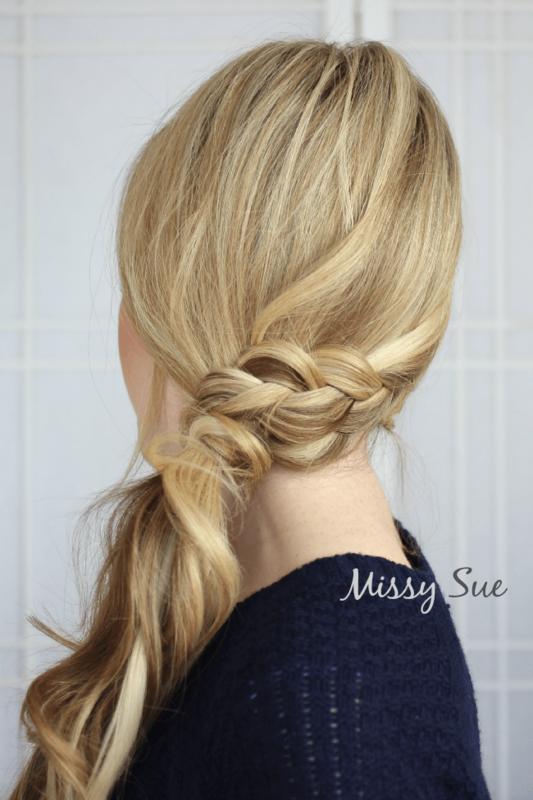 Step 4 / Now wrap the braid back under hair; continue wrapping until you reach the tail end. Step 5 / Grip all the hair together now and wrap a clear elastic band over the entire thing. Step 6 / Separate the tail into two sections and pull outwards, sliding the elastic upwards and tightening the ponytail. Step 7 / Gently loosen the edges of the braid to make it fuller. Step 8 / Smooth down any loose pieces with hairspray and reduce flyaway. So gorgeous, don’t you love how easy it is?! This is such a simple but pretty idea!